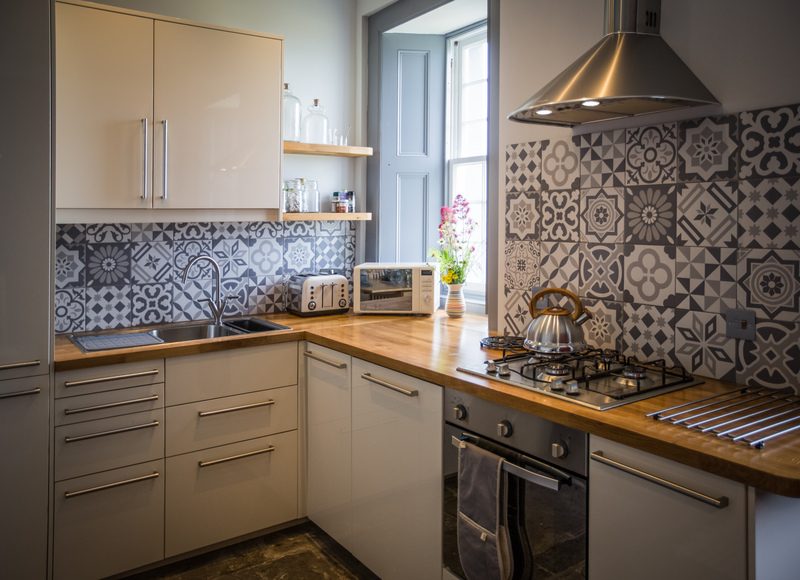 The spacious Keeper’s Cottage comprises an entrance hall, a cosy lounge with television and an open fire, a well-equipped kitchen and dining room with wood-burning stove, two double bedrooms and one twin bedroom, all with en suite bathrooms. 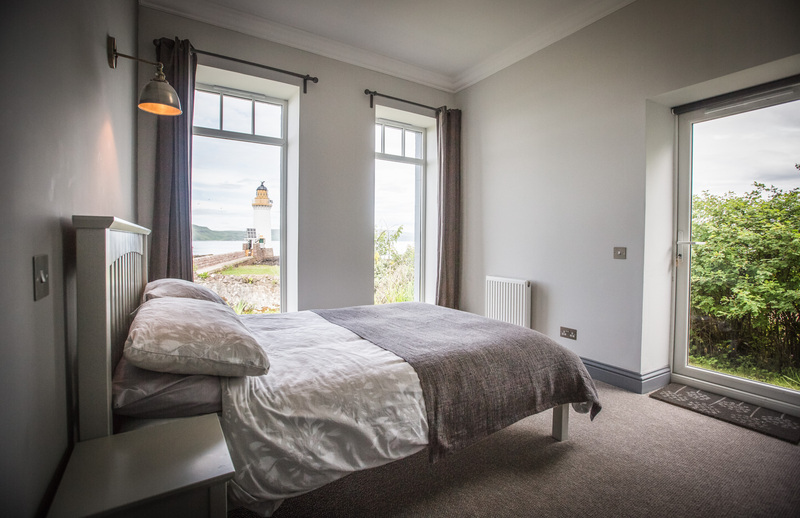 While the original features have been retained, the cottage has been beautifully renovated, providing a comfortable stay in the historic building. Bed linen and towels are provided and beds will be made up for your arrival. Heating, electricity and Wi-Fi are also included, but as the cottage is completely off-grid, please use them considerately. The floors are the original flagstone and wooden floorboards, so bring slippers or indoor shoes to keep your feet warm. 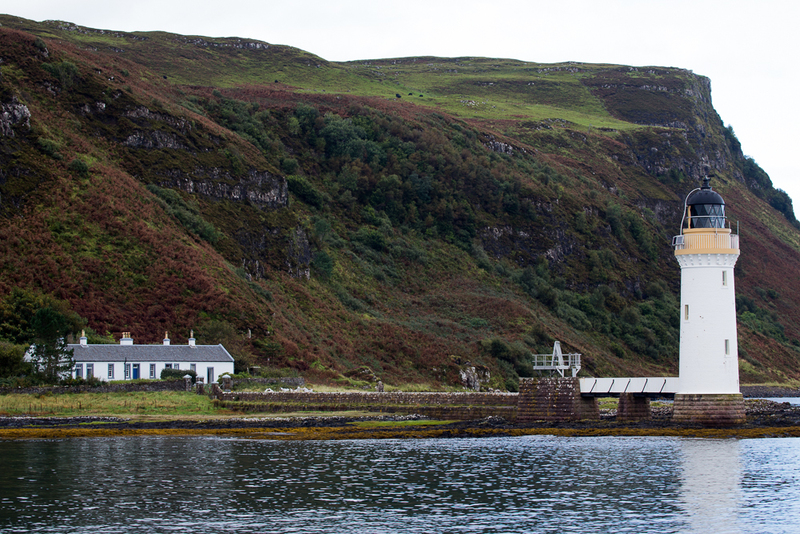 Mobile phone reception on Mull and at Rubha nan Gall is limited, but best with Vodafone and O2. Entrance Hall Hooks for coats and storage for outdoor footwear. 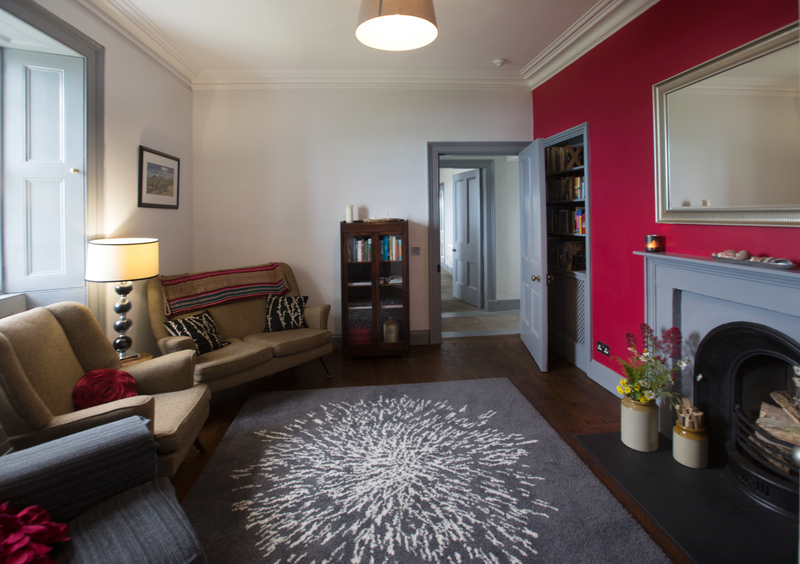 Living Room View of the lighthouse, comfy sofas, television with Freesat channels, open fire, books and board games. Kitchen and Dining Well equipped contemporary kitchen with wood burning stove, arm chairs and views of the lighthouse and sea. Gas oven and hob, fridge freezer, dishwasher, kettle, toaster, microwave and cafetière. Dining table to seat six. Wash House Washing machine, drying racks and utility sinks. Original water heating fire. One king-size bedroom with en-suite shower, hand basin, w.c.
One twin room with en-suite shower, hand basin, w.c.
Bathrooms All rooms have en-suite bathrooms. Garden The cottage is set in 80 acres of ground. Garden to the front with panoramic views of the lighthouse and out to sea. Electricity and Water The cottage is off-grid, powered by a battery bank charged by solar panels and topped up by a generator when necessary. Water comes from an underground spring which fills a stone chamber built by the Stevensons. It is then fed to the cottages via particle filters and a UV filter to ensure it is beautifully clear and pure. 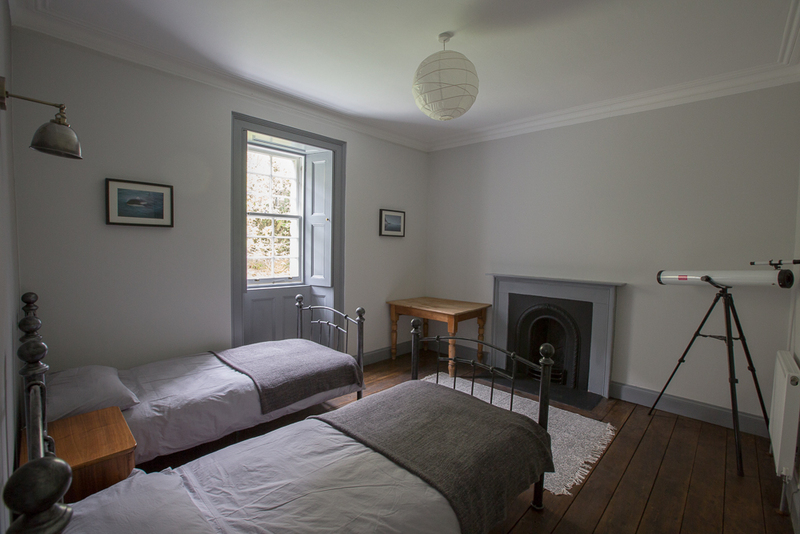 Heating The cottage is well insulated but the restored original sash windows are only single glazed. A combination of radiators and wood burning fires keep you cozy at any time of year. Wood Burning Stove & Open Fire A wood burning stove in the kitchen/dining room and an open fire in the lounge. Wood provided for your stay. Bed Linen and Towels Bed linen and towels provided and beds will be made up for your arrival. Please bring your own beach towels. WiFi / Phone Wireless internet access (signal strength varies). Please note there is not a reliable mobile phone signal in the cottage, but most networks have coverage outside. Arrival and Departure Guests welcome to arrive after 4pm. Departure by 10am. Getting Here & Car Parking The cottage is a 25 minute walk from Tobermory along a beautiful coastal footpath. There is NO road access. There is a large car park in Tobermory and on-street parking available.